“He who is not courageous enough to take risks will accomplish nothing in life” is a motivational phrase coined by the late, great Muhammad Ali. A different sport, perhaps, but those words from one of the most celebrated athletes of all time transcends the world of boxing. To paraphrase a sporting legend, “no guts, no glory”. 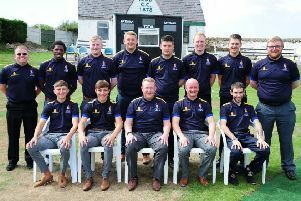 Lowerhouse and Burnley took on the challenge of a Lancashire League campaign upped in competitiveness and both came out with flying colours. The West Enders supplied the knockout blow in the Worsley Cup to end the season with silverware while Dan Pickup’s side had their rivals on the ropes in the Twenty20 format before sending them to the canvas to add to their trophy collection. 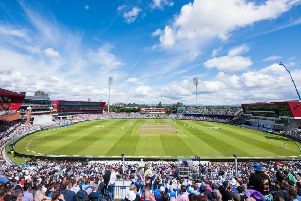 Both teams succeeded collectively in a structure which now contains 24 teams, with ‘House taking the title race to the final day, but it was their showing on the individual front that also deserved celebrating. We’ll kick things off with talismanic paid man Ockert Erasmus who, if it wasn’t for injury, could have ended the term as the league’s most prolific batsman. To be sidelined at the beginning of July, with just 13 games under his belt, yet finish the season as the fifth highest professional run scorer speaks volumes. The South African all-rounder, a First Class cricketer for Boland, had been blowing his rivals out of the water before rupturing his Achilles in a Twenty20 match against Church. The 30-year-old had posted 717 runs, including a high score of 121, and his average of 71.70 remains the second best return of batsmen who have played more than 10 innings. Only Daryn Smit and Rochdale’s South African paid man Edward Moore could trump that figure. Australian Mark Cosgrove excelled in his absence, averaging 70.66 from three matches played, including the triumph over Burnley in the Worsley Cup final. “It was such a shame for Ocky,” said skipper Ben Heap. “His contribution hasn’t gone unnoticed. Elsewhere, Turf Moor skipper Pickup would have been hoping for a little bit extra from the club’s Pakistani pro Asif Zakir with the bat. The 35-year-old was down the pecking order in terms of runs with 595 from 21 innings, which included a high score of 86. And in the bowling rankings, he took just 26 wickets – with a best of 5-33 – from 1,104 balls at an average of 25. Heap, on the other hand, has led by example, and, without a regular pro, has shouldered the responsibility of building his side’s innings. The captain’s 730 runs in the league stands at number seven in the amateur rankings and his high score of 144, against Milnrow at Ladyhouse, is the fourth best knock on offer. “I’ve been happy overall on a personal level,” he said. “I’ve been a little bit off the boil towards the back end of the season, I lost a little bit of rhythm. I would definitely have taken 700-plus runs at the beginning of the season. And former paid man Francois Haasbroek also contributed. The South African, who helped ‘House secure the double in 2012, chipped in with 636 runs at an average of 79.5, the best figure on offer in the table of batsmen who had played more than 10 times. The 31-year-old also added an unbeaten high score of 118, plundered in the 239 run win over Colne at the Horsfield in June. Burnley’s most free-scoring batsman, meanwhile, was Liam Bedford who reached 522 runs for the campaign from 21 innings, including a high score of 100 not out. With ball in hand, Burnley’s Chris Holt was high up on the order of merit where wickets were concerned in the Lancashire League. The club’s former professional squeezed in to the top 10 with 43 wickets with a best of 6-61. The 29-year-old’s average of 15.76 was 13th on the charts of bowlers who delivered more than 1,000 balls. Haasbroek was top of the pile for the West Enders, adding to his prowess with the bat. He claimed 42 scalps throughout the season with a best of 6-23 and his average of 13.11 went in at number six in the ratings, again of bowlers who had delivered more than 1,000 balls. Finally, Lowerhouse’s Joe Martin and Burnley’s Chris Burton finished in the top 10 for overall dismissals. The wicket-keeper culminated the campaign right at the top of the pile with 37 victims, taking 27 catches and adding 10 stumpings in his 23 matches played. Burnley’s representative was eighth with 19 dismissals, which included 15 catches and four stumpings. “We’ve all contributed,” finished Heap. “Our statistics, particularly with the ball, suggests that because all the wickets have been shared out. Different people have taken responsibility at different times. “Everybody is contributing. Historically, even when we’ve won trophies, we’ve never been heavily reliant on the professionals. That’s what has made us successful in the past. That tells the story of this season as well.